Mark your calendar for this Saturday, December 8! 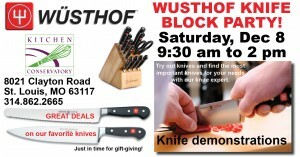 We are having a Wusthof Knife Block Party from 9:30 am to 2 pm. 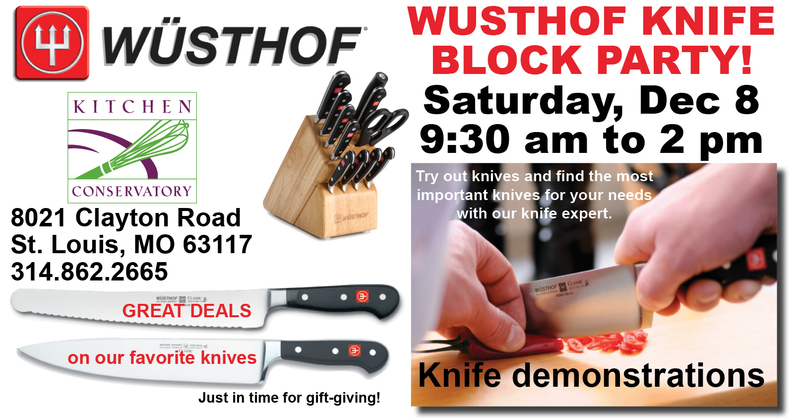 Clark Stone, the National Sales Director of Wusthof, will be here demonstrating, answering questions, and working with you to try out this incredible line of cutlery. There will be great deals on our favorite knives, just in time for gift-giving!